Pride season is just around the corner. And while we’re super eager to celebrate with our LGBT brothers and sisters, we also want to look on-point at all the Pride events on our schedule. From the L.A. #ResistMarch to the VIP soirée following Nelly Furtado’s set at NYC Pride, the panic has started to kick in as we start to coordinate head-to-toe looks for various parties. We want to dress to impress, which means standing out in a crowd with the right Pride outfit. Luckily for us, many retailers and fashion designers create one-of-a-kind “Pride editions” for the occasion. 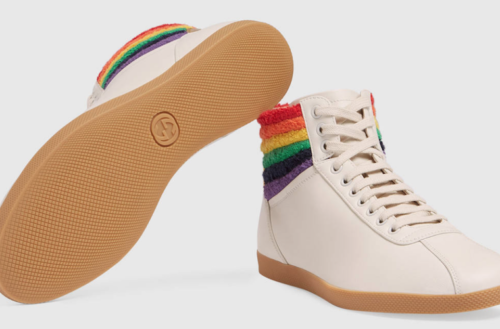 From retail giants like Target to shoe labels like Nike and Adidas, brands create colorful apparel and footwear to commemorate Pride season. Even fashion houses including Comme des Garçons and Gucci have incorporated rainbow into new designs. Case in point: We’re particularly in awe of Gucci’s pre-fall 2017 collection. The Italian house gives us a quirky collection that is both bold and colorful. 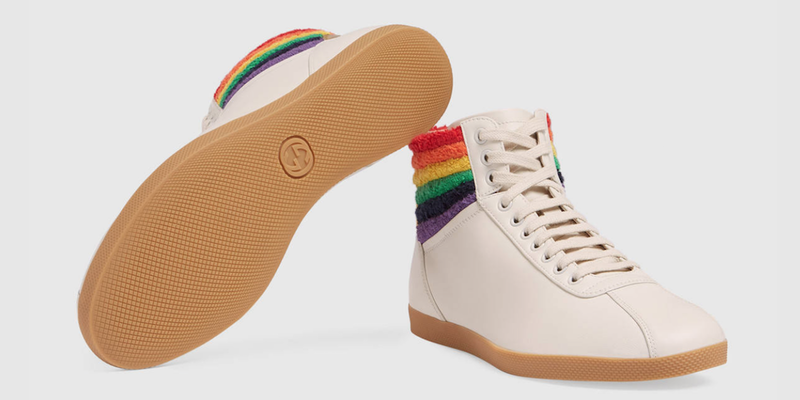 Among the standouts are two Gucci sneakers that slay the shoe game with a Pride statement. If standing out from the crowd is your thing, too, here are your tickets to the ultimate Pride expression. RELATED | Who Does Pride Sneakers Best – Adidas, Nike or Converse?